This week we are honored to be able to have Izzy Carnwath as our Spotlight person of the week. For those of you who don't know Izzy personally maybe you know a few things Izzy is involved with such as Cage Queens, or Halo PR. Izzy comes to our WMMA community from the other side of the ocean (In the UK) but you would never know it by her far reach in our community and for the things she has been able to do for Women's MMA in such a short period of time. So seeing as one of Izzy's many strong suites is PR we aren't going to spend to much time on our introduction of her as I am sure by reading the answers to her questions below she will do a much better job then we ever could of introducing herself and the many things she is involved in. So with out further a due here is Izzy Carnwath. Izzy: I own the UK Women's MMA website Cage Queen which I run with Dan Beazley. It's aim is to cover UK and European WMMA fight news (Ammy, Semi-Pro and Pro) and to help women find opponents and training partners via the fight finder. There is such a small minority of women training in the UK that they don't get that much media space and though promoters want to get women on their shows, they struggle to make matches. Hopefully Cage Queen addresses this. My main paid job is as an MMA publicist (and now director) at HALO MMA. We have represented the UK's biggest promotions, BAMMA and Cage Rage UK; and we work with some of the UK's top fighters, like Paul Daley. Izzy: I have narrowed it down to BJJ for now, but spent some time doing No-Gi and Thai-boxing. Izzy: I fell in love with MMA as soon as I started training at London Shootfighters. There were only a couple of other girls there including fighter, Michelle Tyler. It was when she asked me to help her find opponents at 51kg and help get her publicity to attract sponsors, I realized how tough it was to get both for WMMA fighters. Through hours on Facebook and in forums I started to find more girls in the UK who train in MMA - but there didn't seem to be a quick simple way to match them apart from through word of mouth and good contacts. 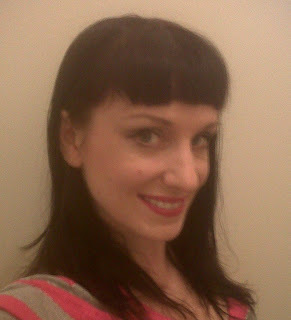 Before that I only really knew of Rosi Sexton (Also a link to Rosi's Blog in case you are interested in checking it out. ), Aisling Daly and of course Michelle in the UK. I also really enjoyed publicizing Michelle. I believe the girls deserve the same credit the guys do and I think it can take courage to push yourself forward as a female fighter. Also, I've always loved female icons; and fighters make fabulous counter-culture icons that make a refreshing contrast to ideas of beauty and femininity in the mainstream. There's room to be really playful and I think many promoters and coaches have been missing a trick or two, because I believe it's very marketable to the mainstream. Izzy: Because Chris is a diamond. 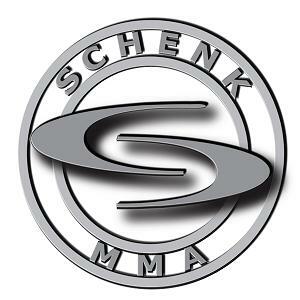 SchenkMMA promotes women's MMA and is a great news source. Also, I think it's good to support and join forces with people who are working to the same aims. It's great to share tips, news and advice. Izzy: @wombatsports , @TimWMMAtoday and @yaelwrites among others for their support and infinite women's MMA knowledge. All the women out there training and competing in MMA and combat sports.